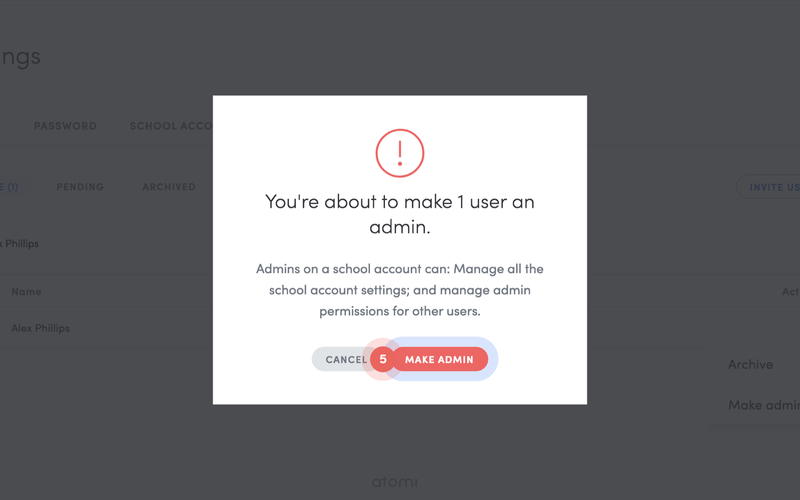 How to make users admins on your school account or remove the admin role for a user. 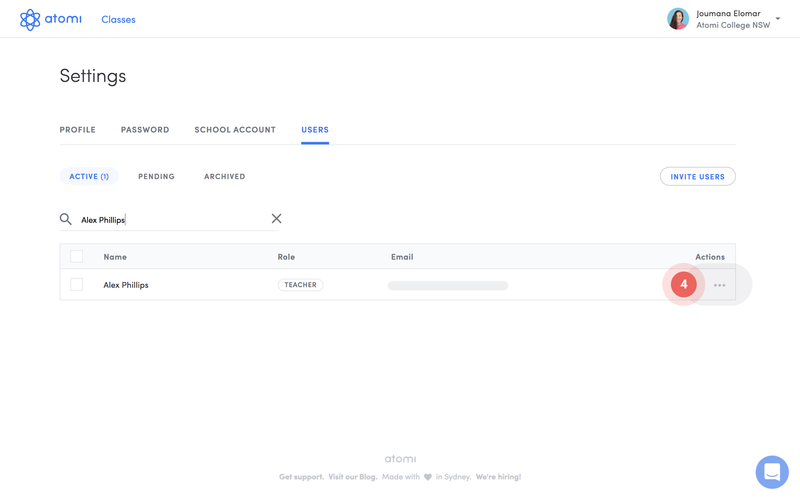 Admins on a school account can manage the school account settings, and all users and classes. 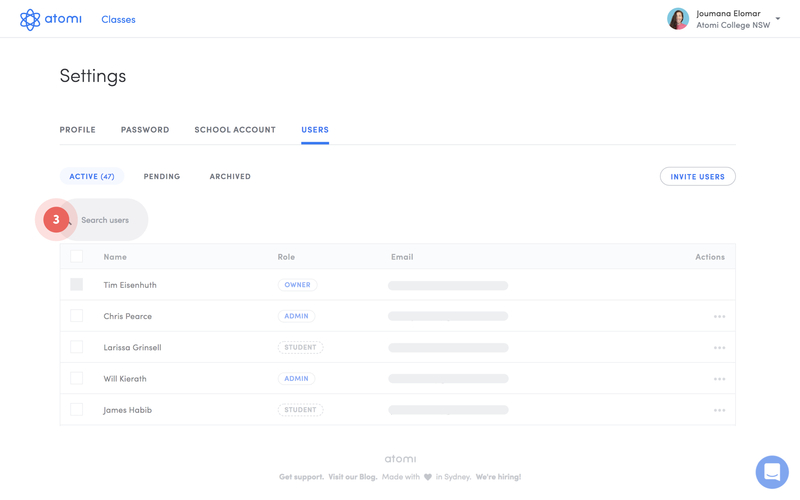 You can read more about admin permissions in Roles and permissions on a school account. 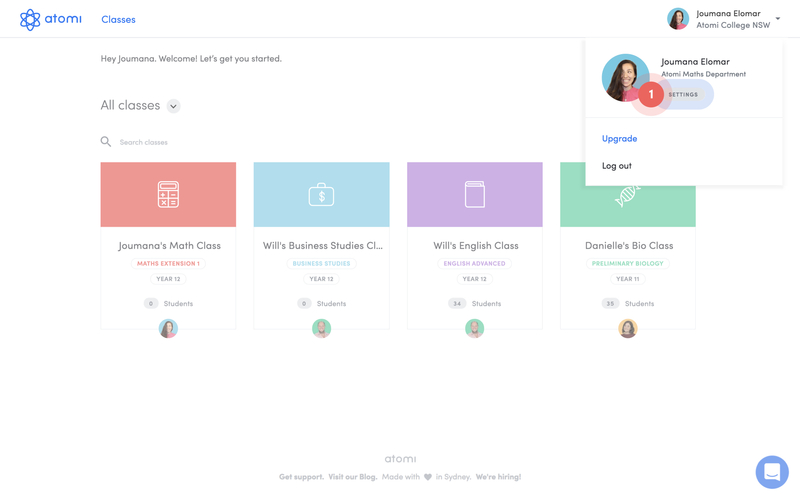 Only owners and admins can assign or remove admin privileges for other users and only a teacher can be made an admin, not students. 1. 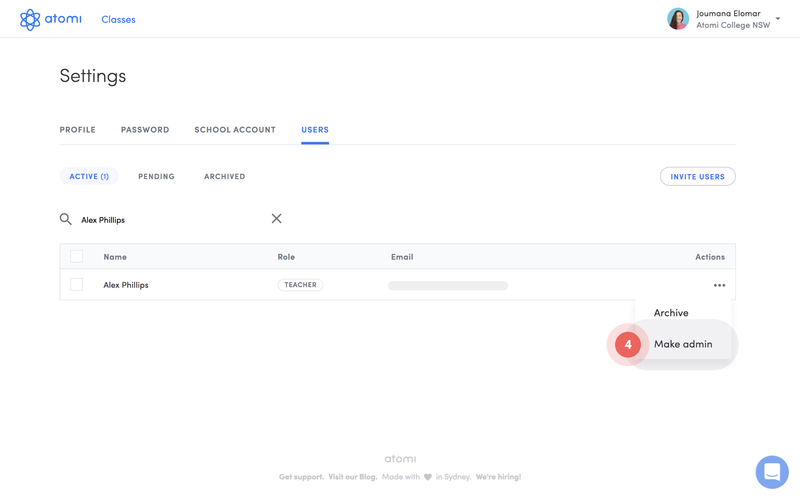 Go to your account settings by clicking your name at the top right of your dashboard, then click Settings. 2. Click on the Users tab. 3. 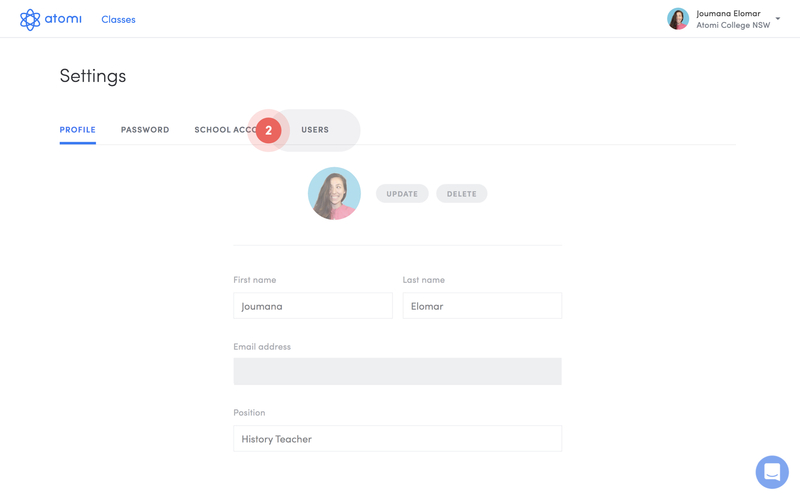 Search for the teacher you'd like to give admin privileges too by typing their name in the search field. 4. 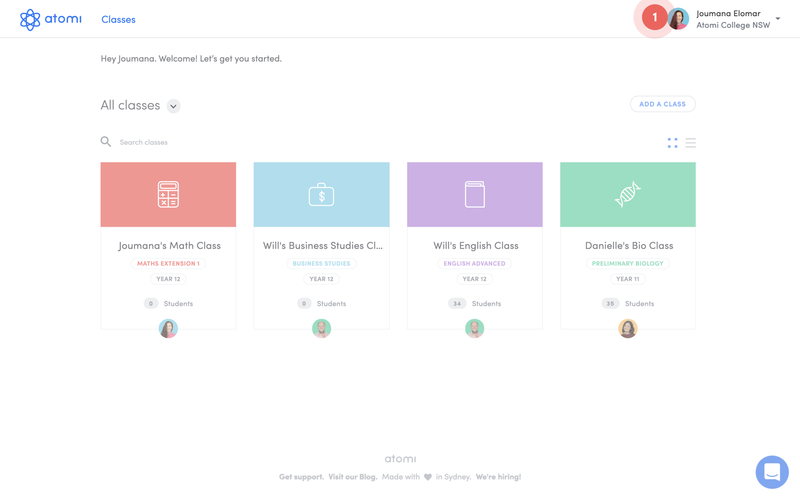 Click on the ••• icon to the far right of their name in the table row (under the Actions heading) and select Make admin from the dropdown list. 5. Follow the prompts in the Make admin popup to finish! You can remove admin privileges for a user following the same steps as above, but by selecting Remove admin instead during step 4.